Loews Royal Pacific Hotel is located at Universal Park. This hotel recreates the glamour, charm and romance of the 1930’s when islandhopping the South Pacific was a once-in-a-lifetime adventure for the privileged few. At this tropical paradise, island breezes dance through the palms. A serene orchid court where flowers are always in bloom soothes your spirit. From the bamboo forest entrance and swaying palm trees to the enchanting outdoor gardens and tropic lotus lagoon, you will find unsurpassed recreation. The Royal Pacific is currently sold out. The Loews Royal Pacific Resort has self and valet parking. Rate are $15 per day/per car for self parking and $22 per day/per car for Valet. Orlando is serviced by a large number of airlines. Because of the widely available internet airline rates, TIA is not offering special airfare information. However, it is highly recommended that attendees book airline tickets well in advance as airline schedules and prices change daily. 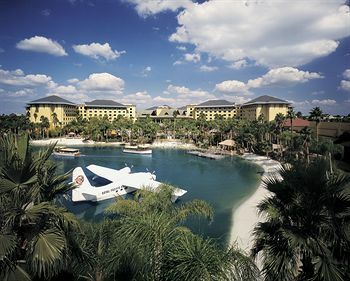 Taxi fares from Orlando International Airport to the Loews Royal Pacific average $45 - $50 one way. The hotel offers return sedans to the airport at a rate of $55. Mears is offering TIA members a $3.00 discount off the regular round trip price of $32.00 per adult or $24.00 per child (4-11 yrs). Attendees can prepay online at the discounted rate for the Mears Motor Shuttle service then print the confirmation. This includes a bar code or present this coupon to MEARS MOTOR SHUTTLE COUNTER for round trip transportation to and from the Royal Pacific Resort (Code 744). You can either use the self-service kiosk or present the confirmation to the Customer Service Representative. Once the confirmation is scanned, attendees will receive a two part ticket for the Mears Motor Shuttle, one for arrival one for departure.